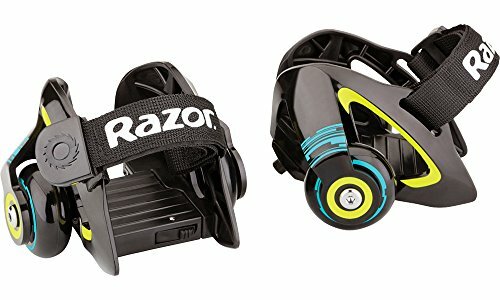 50+ Awesome Gift Ideas For 13 Year Old Boys! 2018 Christmas Edition! 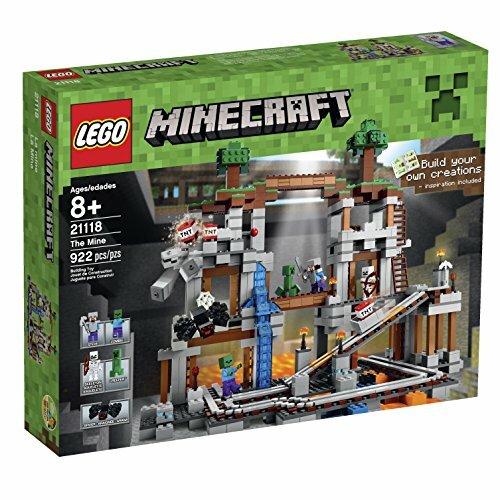 This is a list of the best gifts for 13 year old boys! 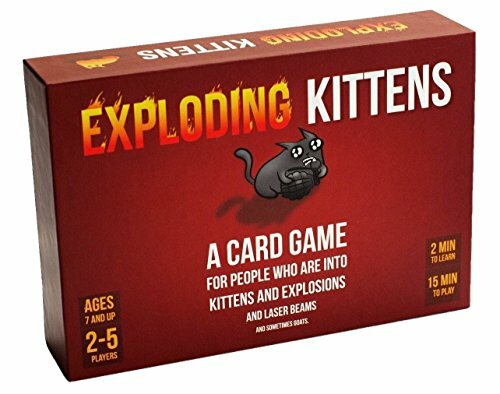 Whether you're shopping for their birthday or Christmas, this is a top list for 2018 of 13-year-old boys toys and gift ideas. As the mother of a 13 year old and a toy blogger by trade, I know all the best gifts and toys to buy 13 yr old boys! 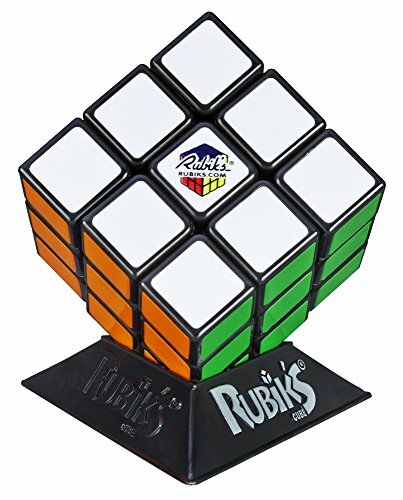 I've put together this page of gift ideas from all different categories and budgets so that anyone can pick the best gift for a 13 year old boy. S.T.E.M. 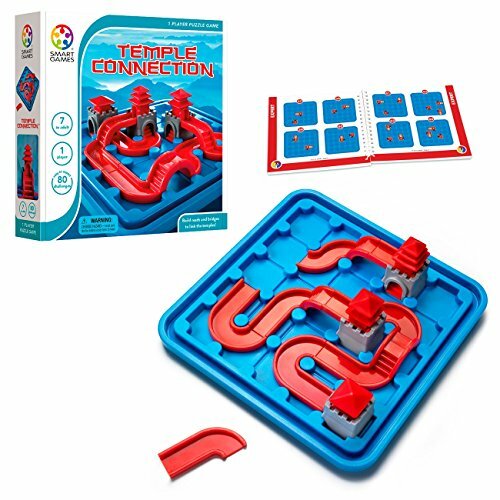 (science, technology, engineering and mathematics) gifts are quite popular for boys this age because they are entertaining and educational on so many levels. Electronics are always popular with 13 yr old boys because they love technology at this age. Whether it's remote control cars, tablets or video games - boys love electronic gifts for their birthday and Christmas. 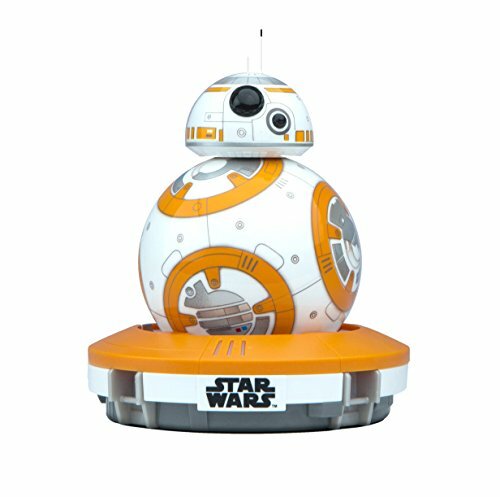 Outdoor gift ideas include ride-on toys, sports activities and Nerf guns! These are still good gifts for 13 year old boys. I've even got a selection of books and games to choose from because it's nice to have some quiet time with our teens too. I've got some good books to buy a 13-year-old that they'll actually read! 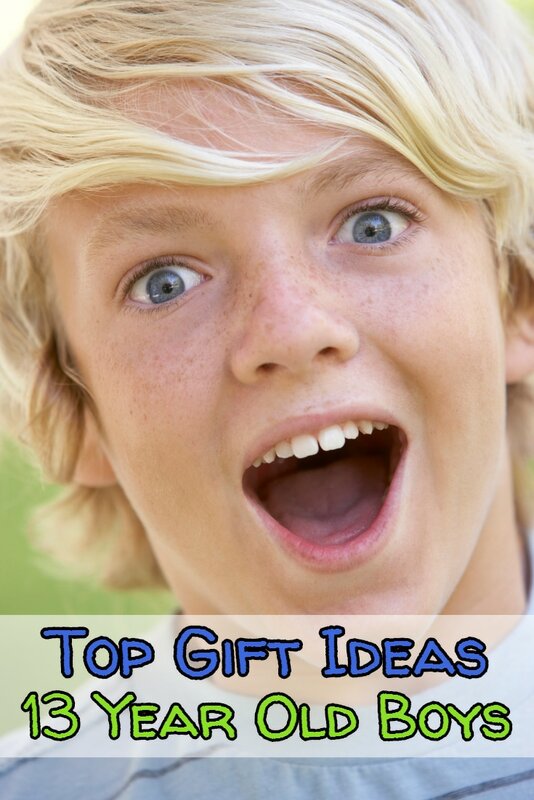 Here are some of our top gift ideas for thirteen year old boys! 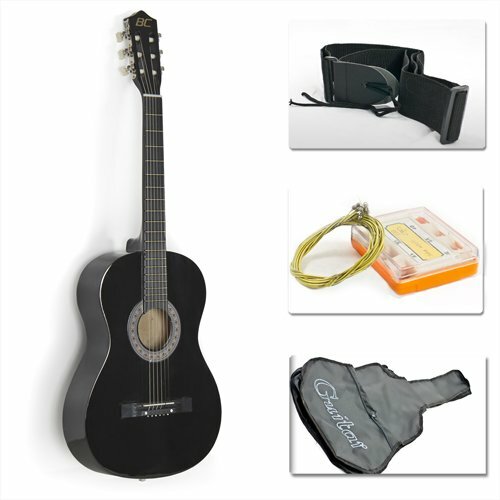 There are more gift ideas below but these are the very best of the best when it comes to choosing a good gift for 13 year old boy! 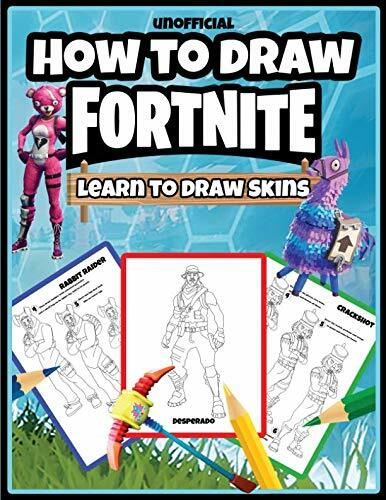 These drawing books are perfect gifts for a Fortnite fan that loves to draw. 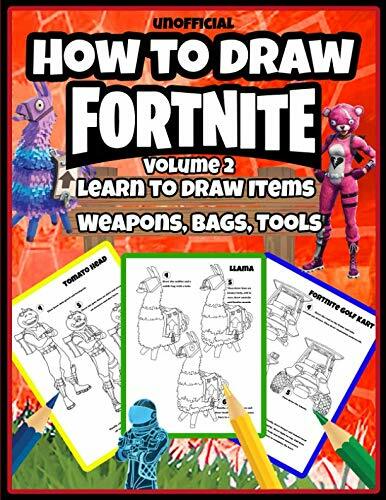 My son is an artist at heart and these books help him learn to draw the things that he's interested in, these are inexpensive gifts that they won't be able to take their hands off of. 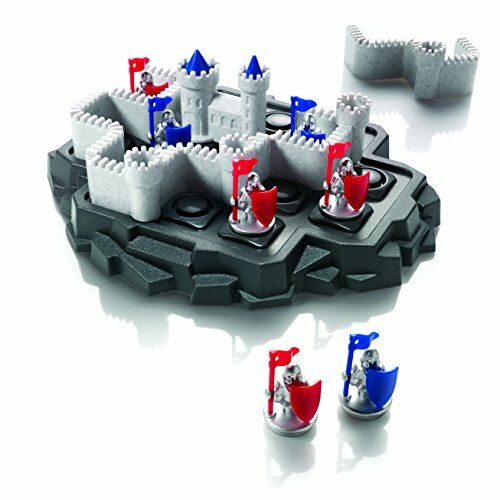 ​This is a great puzzle game, the object is to arrange the 4 castle wall pieces and keep the towers safely inside the castle, but definitely harder than it looks. There are 80 challenges to play with this puzzle, it's hours of fun and it will give their brain a workout. 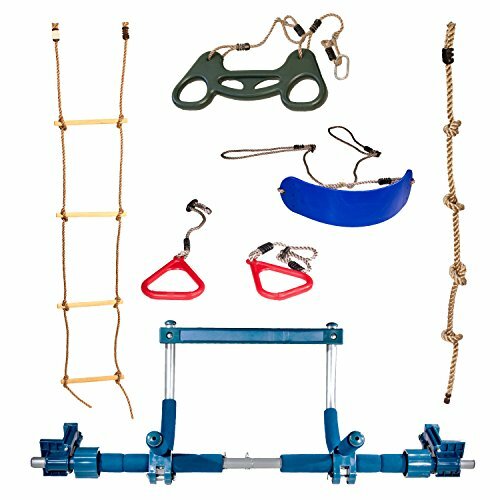 This kit comes with 10 different challenges to to complete. 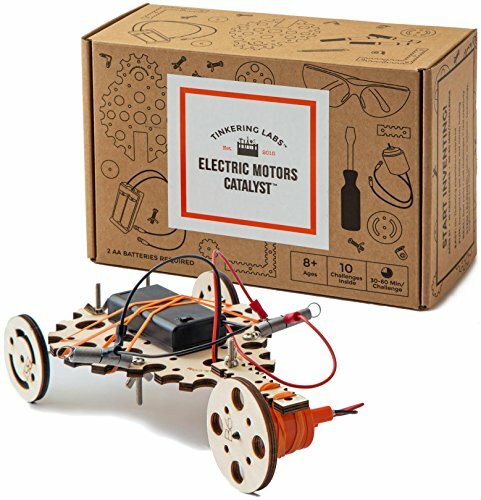 It's a great little inventors kit that gets them building things with real wires, tools and wood pieces. It's a high quality kit that inspires creativity and it really has unlimited possibilities if you have a tinkerer on for a 13 year old son like I do. Passback Training Football - Improve Skills! 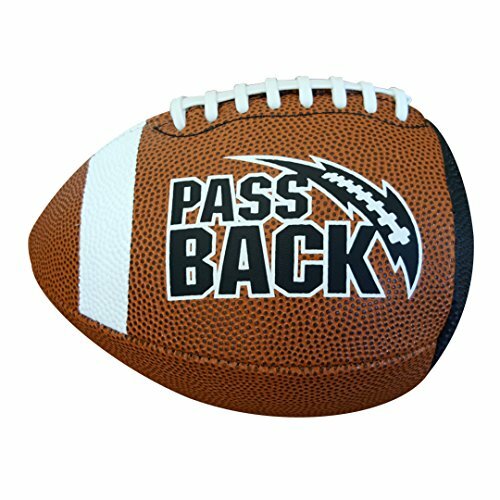 This Passback football is great for practicing and improving football skills indoors. 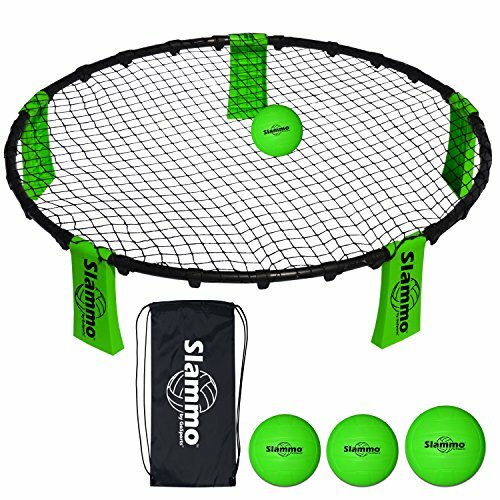 Throw it against the wall and it comes back to them in different angles and ways - great for learning to catch! 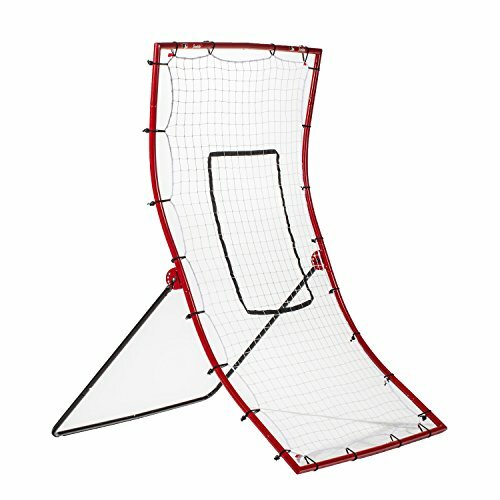 ​This is one of the most used indoor sports toys my son has, no exaggerating! Grow Your Own Crystals Is Fun! 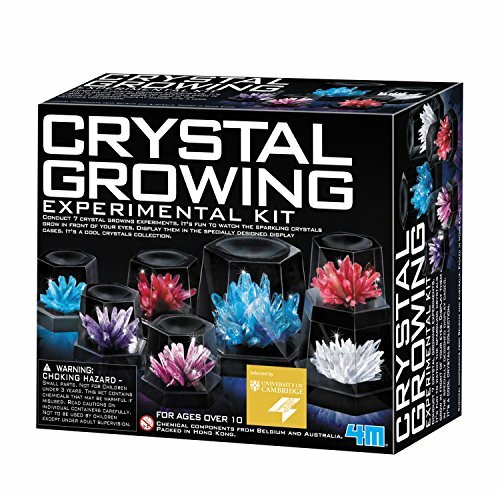 ​This is the ultimate crystal growing kit, it absolutely works perfectly. It's entertaining and exciting to make these crystals. Takes about 4-7 days to grow depending on the size, there are 4 small ones, 2 medium ones and 1 large crystal to grow. It's such a cool experiment and 13 year old boys LOVE IT! This indoor gym is perfect for a thirteen year old boy because it fits right inside their doorway for lots of exercise that's fun. 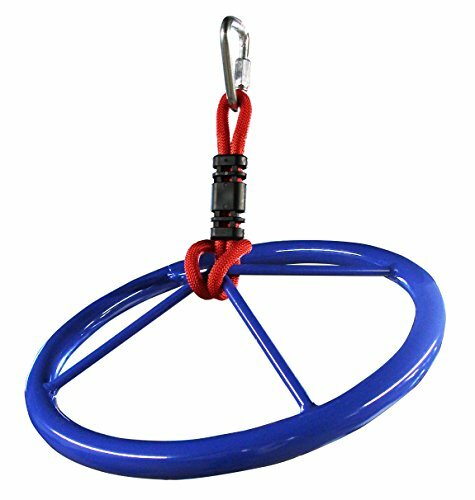 Having somewhere to swing, hang, climb and pull themselves up right in their own room. My thirteen year old really needed one of these portable phone chargers because it gives him backup power for his phone when he's at school or out with friends. 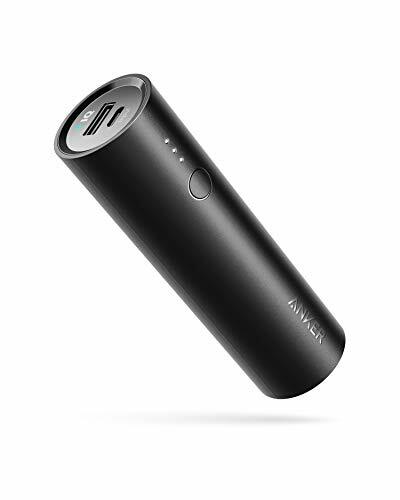 He's been into that Pokemon Go game and the app really drains his battery power, having one of these small, portable battery chargers has been a huge help. 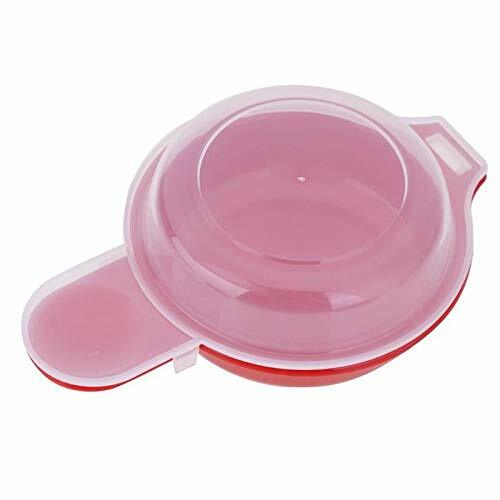 This one is lot smaller than most of them, making it easy to carry in a pocket. 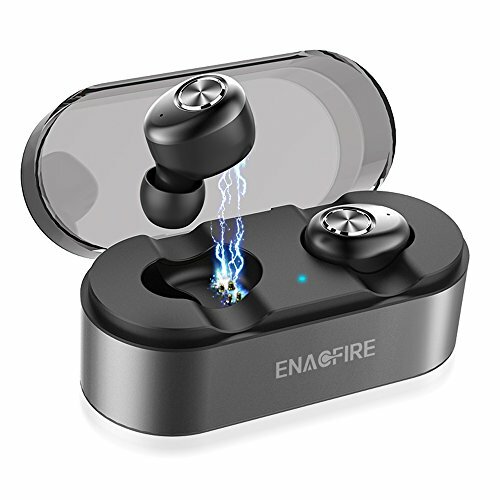 It charges phones really fast and has enough power to give you two full phone charges. 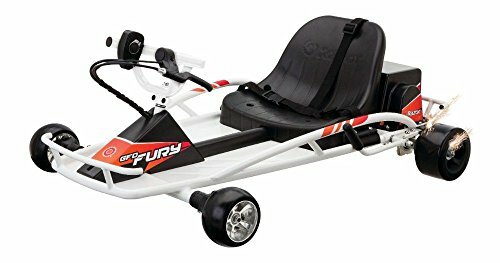 ​If you want the coolest ride on toy for a teen boy, this is it. 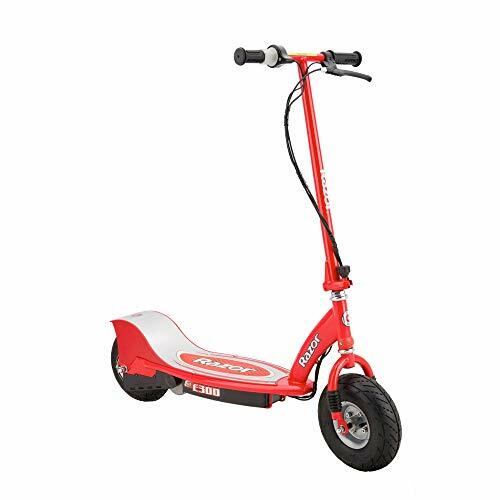 This scooter is actually much bigger than it looks and it's the perfect size for a 13 year old boy. 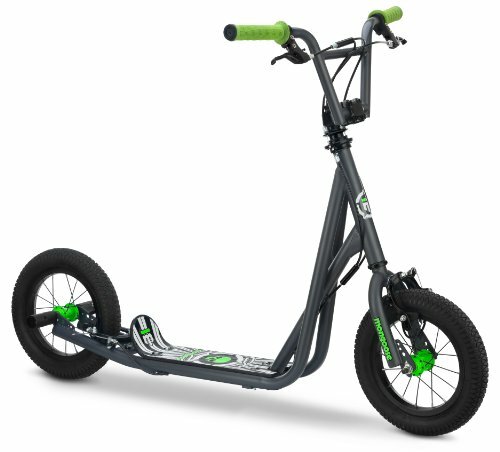 It's completely electric, the battery charges up in about 12 hours and will last overall about 40 minutes. We're really impressed with the quality and durability of this beauty. 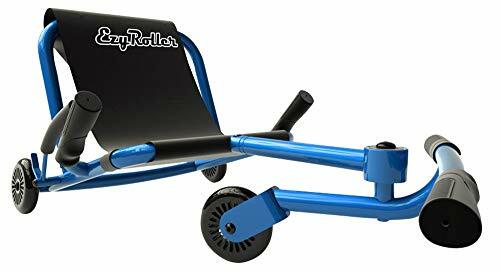 The EzyRoller is the ultimate self-propelled, human-powered ride-on toy for boys. 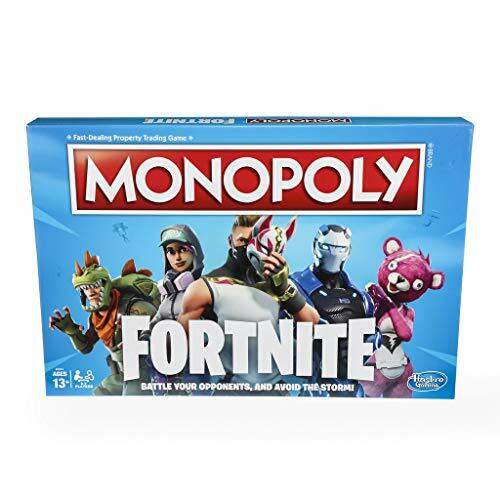 You're 13 yr old is going to be the envy of his friends with one of these. 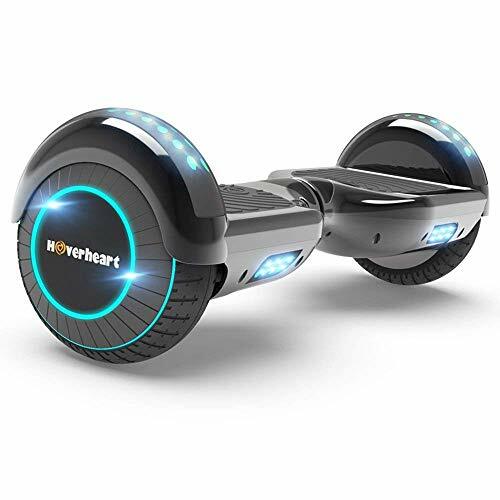 Twist and turn and glide across concrete and pavement like never before. There's never been a ride-on toy like and scooters and skateboards can't even begin to compare. 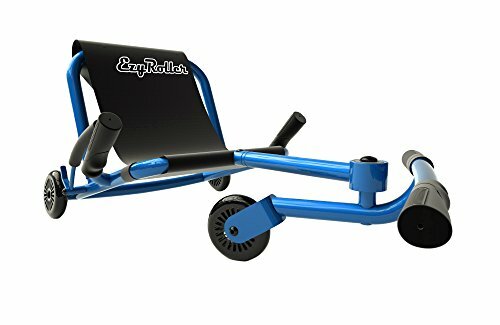 Don't forget to get your thirteen year old a helmet if you end up getting him this EzyRoller​. Easy assembly. Low hands-free design makes it safe & stable. Built to last. Made for ages 4-40 years old! 3 Excellent Ride On Toys for 13 Year Old Boys! 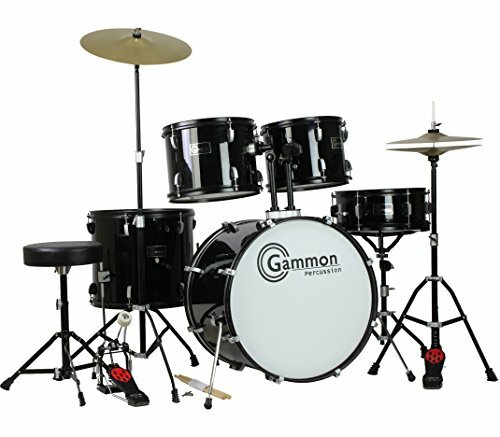 You cannot go wrong getting any one of these for a 13 year old boy! 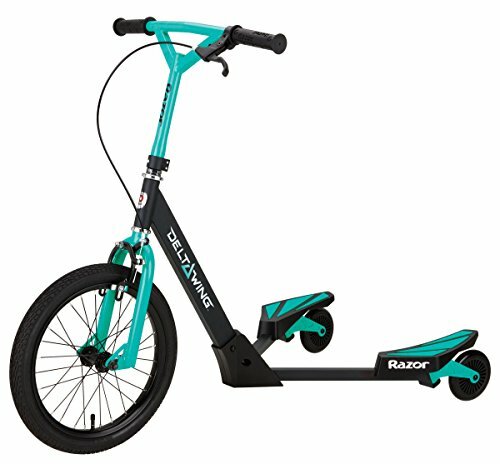 These steel balance stilts are the most awesome gift for a thirteen year old boy because they are fun, great for balance and different than your traditional outdoor toys like bikes, skateboards and scooters. 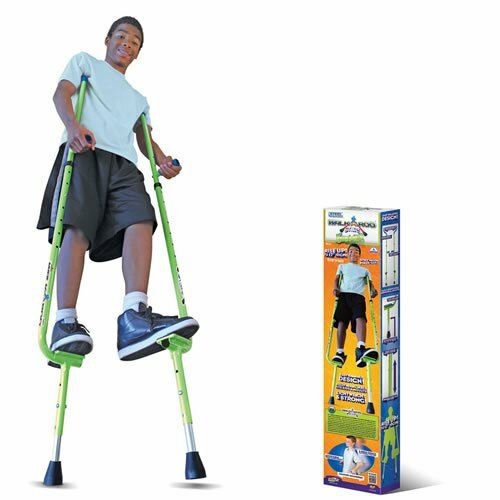 All those things are cool but stilts are a unique gift idea that most are not going to duplicate. These adjustable steel stilts are adjustable from 12-inches to 17-inches high. They take some practice but they are so much fun. They are a bestseller for boys 13. 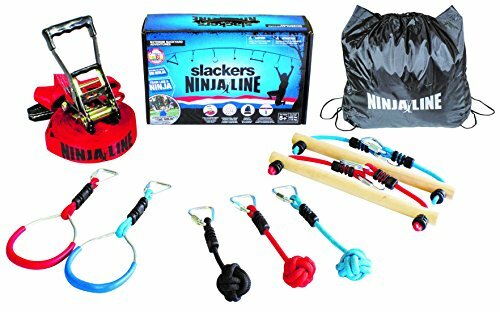 Set up the ultimate obstacle course in your back yard for your 13 year old son with the Slackers NinjaLine set. 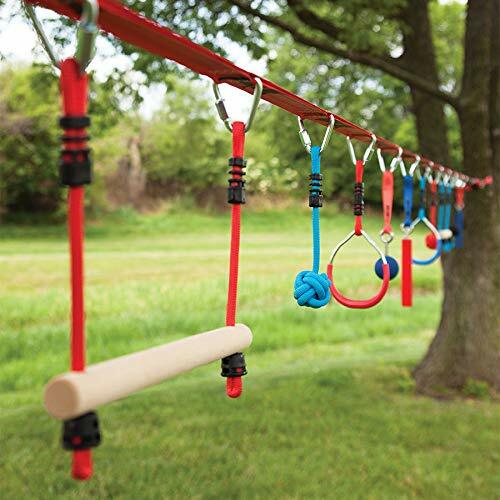 It's the best outdoor workout for boys this age and it's going to be the best investment if you have more than one boy! 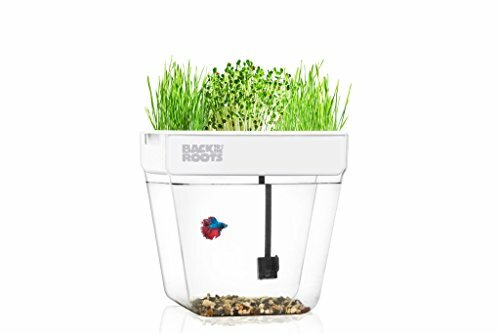 This isn't your normal gift idea - it's over the top awesome because it keeps them active outside and entertained too! My 13 year old loves to play basketball with his friends, it's an activity that they all play outside together almost daily. Having a portable basketball system keeps the boys busy outside all the time. 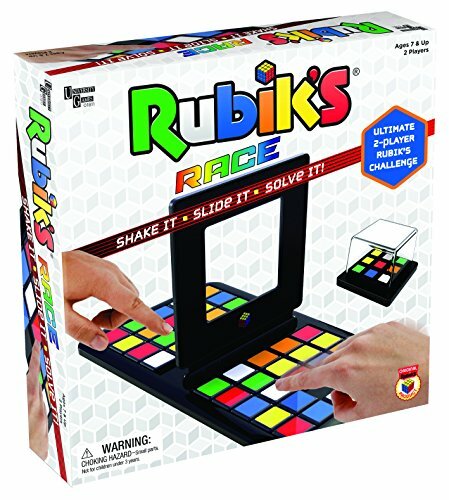 My son has gotten really good at his game since we got one of these, practice makes perfect! 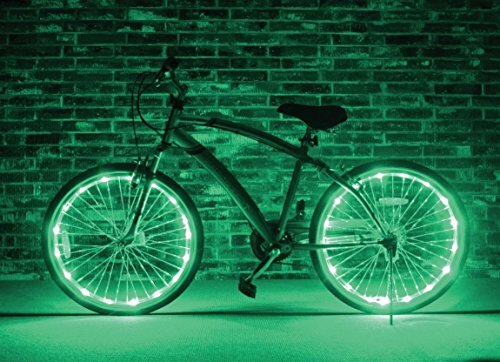 One for outdoors OR one for indoors! 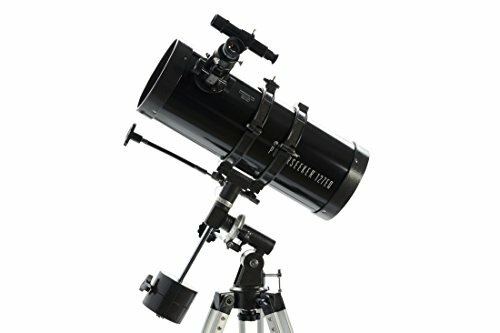 ​This Celestron is the best telescope for the money if you want something small to start out with. ​It combines value and quality in a high tech, sophisticated telescope. 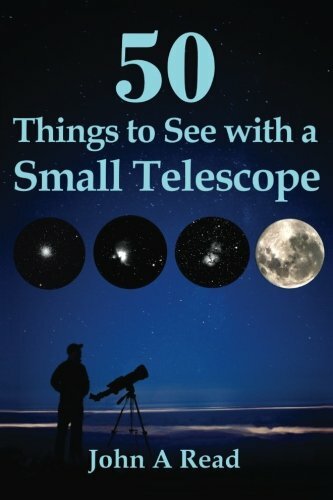 There are so many cool things to see with these smaller telescopes and 13 yr old boys are fascinated with them. This is one of those science gifts that you're going to appreciate the value in for years to come. 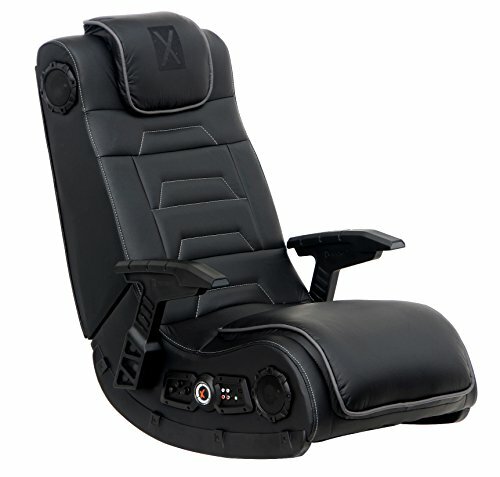 Gaming Chairs - For Desktop Users or Video Games! Do you have a 13 year old gamer? 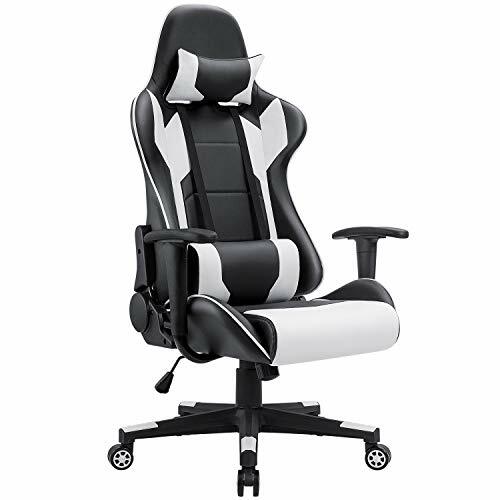 Whether he's on the desktop or playing on the TV, these chairs are super comfortable and ergonomically fitted for their optimal playing position. Every teenage gamer would appreciate a well thought out gift like this. 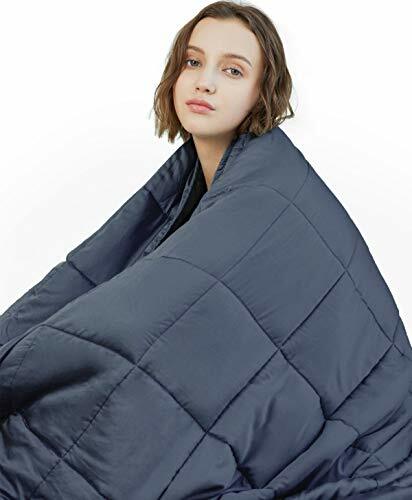 This weighted blanket is like sleeping with a giant hug around you all the time. It's great for a good nights rest and teenagers with anxiety find it helps them relax. This is a 15 lb blanket with glass beads inside, made of 100% cotton so it's really soft and cozy. 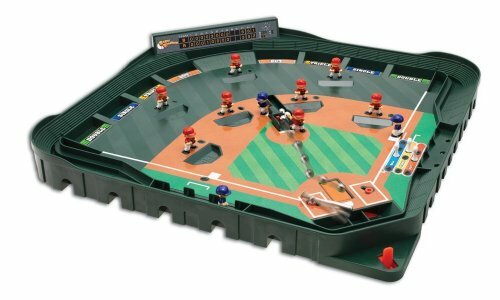 This realistic miniature baseball stadium makes for a fun toy for a 13-yr-old boy that encourages hand-eye coordination. The spring loaded bat swings and the magnetized infield creates ball movement when pitch is thrown. It looks like a real little replica of a ball field in the major leagues. 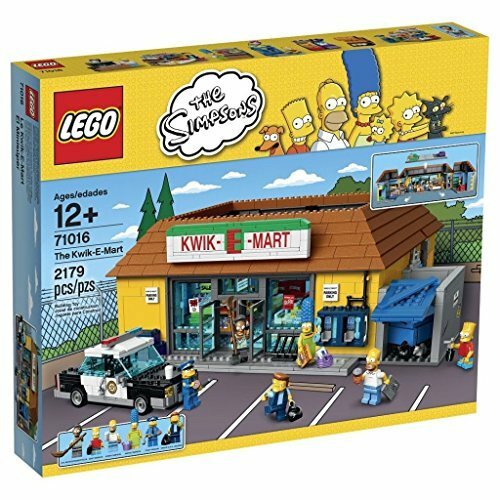 It's not always easy finding toys for thirteen year old boys so I was excited when I came across this one. It's a unique baseball gift that mine really enjoyed. Everyone plays with it when the come in his room. 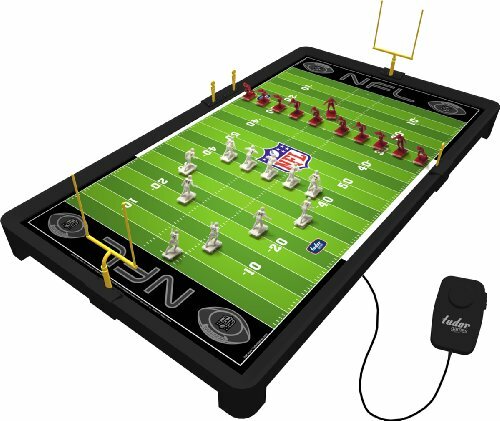 Electronic Football is a great Gift Idea for a 13 Yr Old! 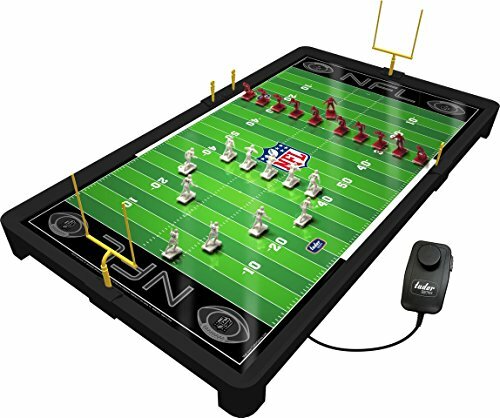 With this electronic football game, you're the coach and the players. You can throw passes, run slants, traps, and sweeps. There are 11 white players and 11 red players, they are in 5 different action position to play. Control all aspects of the game as your 13 year old coaches and drives his team to victory. The remote control allows you to precisely place each player where you want him. This game takes two "AA" batteries and has 24 inch x 13 inch playing field. Hamper Hoops, The Best Gift for a 13 Yr Old Boy! 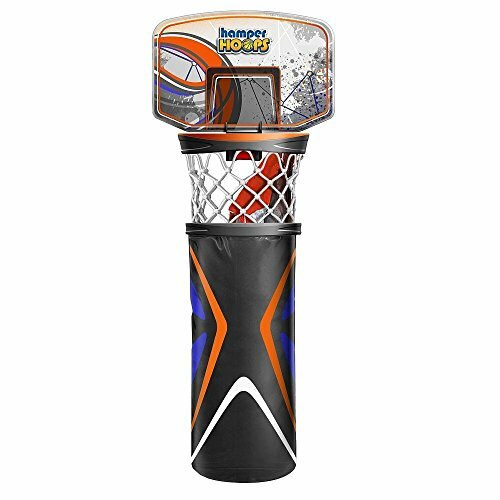 Moms would agree that Hamper Hoops is the best gift to buy a 13 year old boy because it makes putting your laundry in the basket a game. 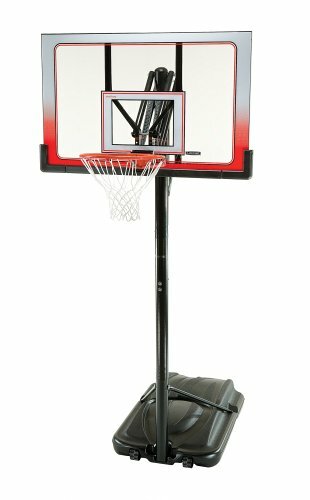 Hamper Hoops is the perfect bedroom hoop system for your 13 year old boys laundry, with this hoop set, he can hardly miss a shot. The bottom of the hamper unzips for easy release of the laundry into another basket for the wash. 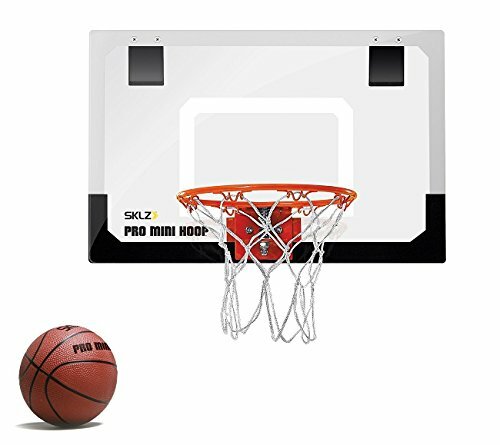 It fits over any standard bedroom door, it includes the basketball backboard, net, hoops and a very big laundry bag to catch all their dirty clothes in. 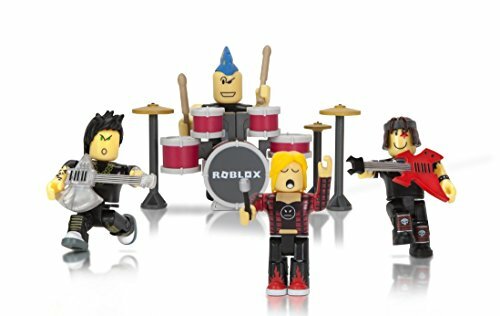 A guitar starter set makes a great gift for 13 year old boys. 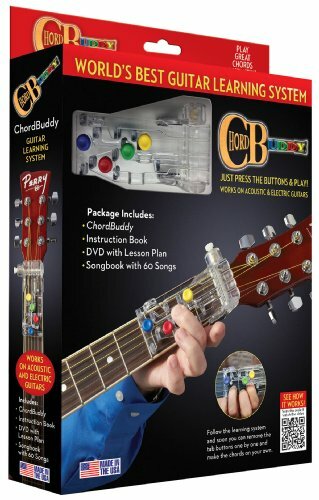 You can find lessons on YouTube for free - or pick up something as simple as the ChordBuddy that teaches you guitar. A beginner's guitar set is a great gift for a 13 year old boy because they all have that deep down desire to be a rock star inside them somewhere. 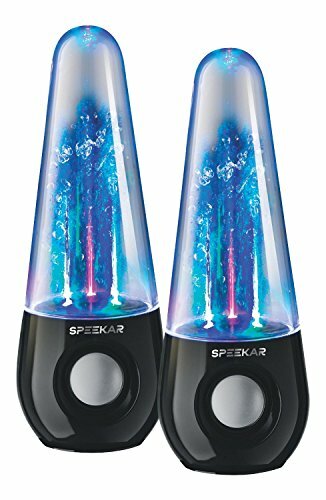 These dancing water fountain speakers are so cool. 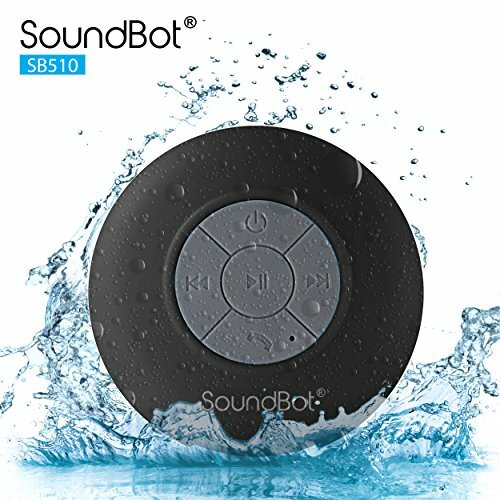 You can hook them up to your smartphone, tablet or computer. When music comes on, the colorful water fountains will dance to the beat of the music. Works with smartphones and tablets too! 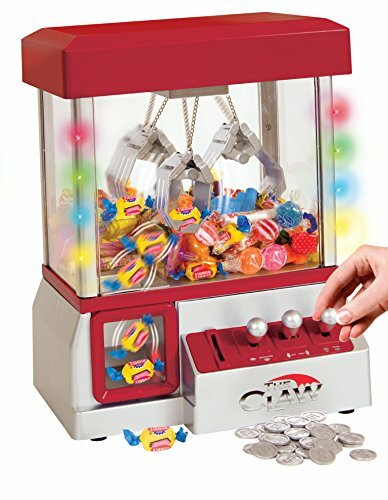 This electronic claw game is a little replica of the big ones you see in restaurants and diners. 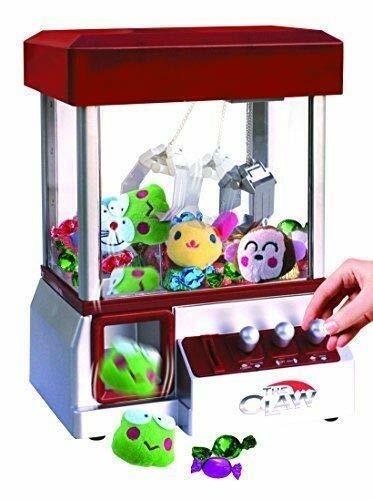 This is a real-working electronic claw machine and you can put real stuff inside to win! My kids love these little prize claw machines so when I found this miniature one I was stoked! My 13 yr old and his friends all love the electronic claw machine, we put real candies and small prize toys inside ours. The electronic claw game is awesome because it will take real coins - yep, take your friends money.. it dispenses the little prizes in the bin below. So so rad! 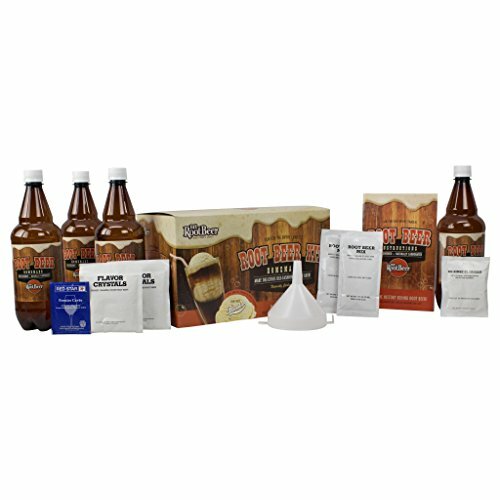 A Root Beer Home brewing kit is a great gift idea for a thirteen year old boy because its educational and delicious. Brew up to two gallons of root beer for your friends and family. It comes with bottles so you can chill it and serve it like you would any other beverage of this quality. Includes everything you need to make some creamy root beer. The instructions are easy to follow and there are even some root beer games. This would be fun for two kids or to make solo! 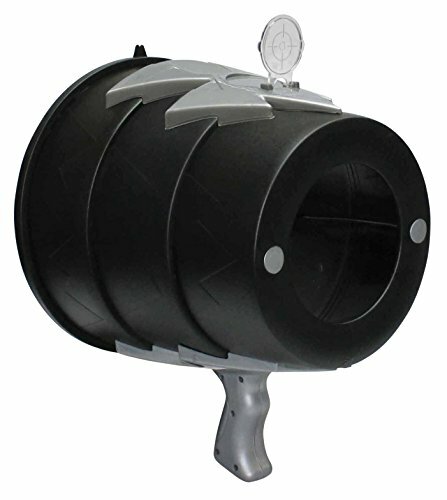 Launch a full blown air assault on your friends or family with the Airzooka! Warning! You will need TWO! You cannot just have one Airzooka if you're going to go have air wars with friends. For the price you can afford two. These air cannons will blast bursts of air up to 20-feet away! That's far! You can have air wars indoors or outdoors - moms prefer outdoors! 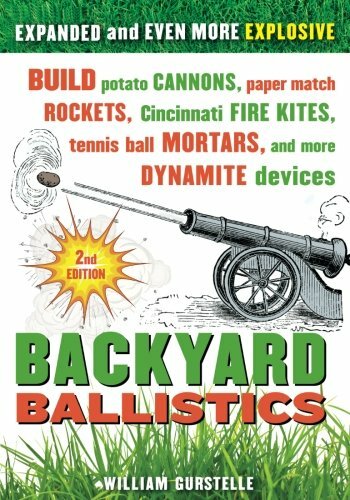 If you have boys or an overgrown boy you call dad, this is an awesome gift idea - definitely get two, you'll regret it if you don't! Get Your 13 Year Old His Own Robe! My teenage son lives in his robe on the weekend and in the summertime. He loves to lounge around the house in it playing video games and what-have-you. ​In the summertime and on winter break he practically lives in his robe because it comfortable and convenient. Personally, I like that he has a robe now because before he was just walking around in his boxer shorts. 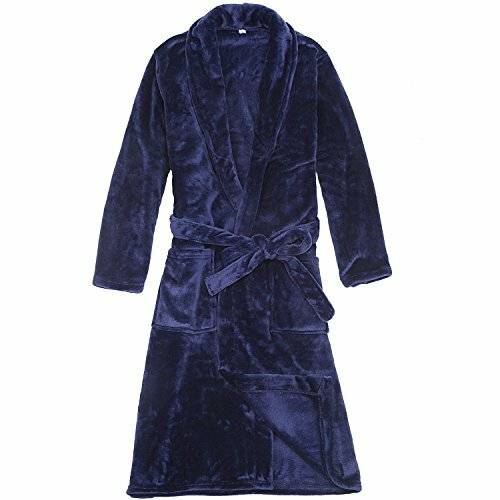 This is a comfortable robe in a color that boys can live with. It's thick, comfy and has the tie around the waist to keep things private, if you know what I mean? Walkie Talkies are Cool Gifts! 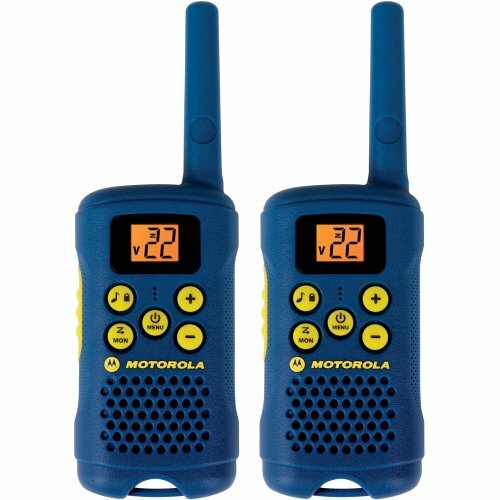 Walkie Talkies (2-way radios) are cool gifts for 13 year old boys - they are a classic gift idea that never goes out of style. 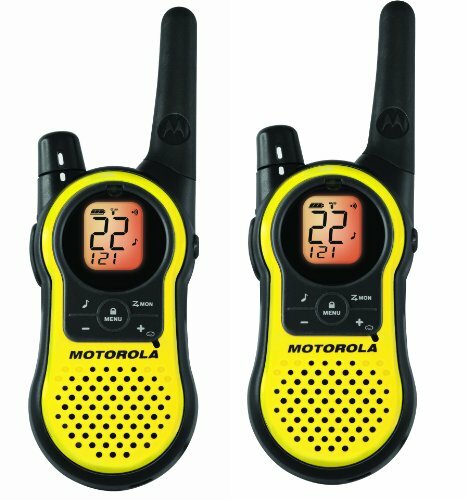 Walkie talkies are fun with friends when you're outside riding bikes, hiking, fishing or just on a adventure. 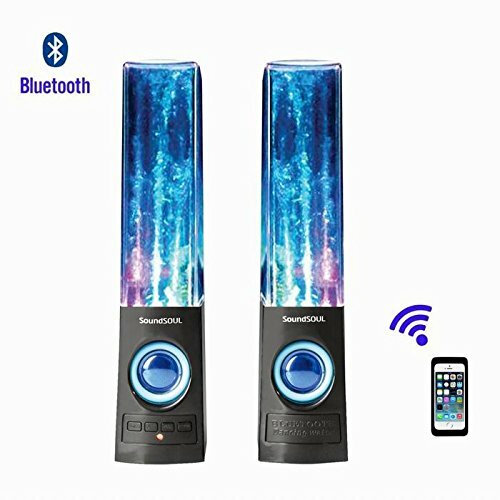 I would definitely invest in a good pair of walkie talkies for a 13 year old boy, not some cheap toy ones that have no range and break in a week. The Kangaroo Water Bottle is a cool gift idea for 13 year old boys because they can have their water handy and a cool storage compartment for money and other small items. 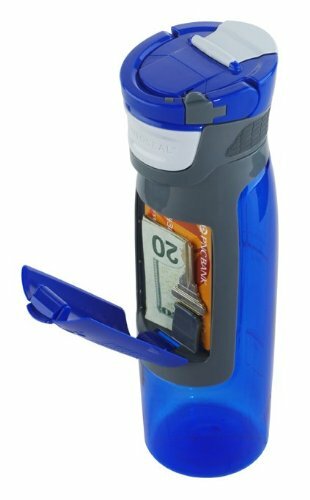 The Kangaroo Water bottle has a small compartment built into the front of it that can hold cards, money, notes or a house key. It's the perfect gift idea for a teen boy that plays sports or carries a water bottle with him to school. The Kangaroo water bottle comes in other colors besides blue. 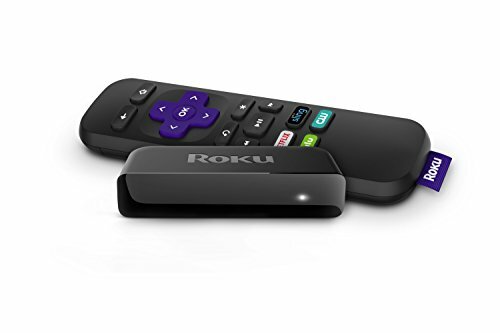 StreamING mOVIE dEVICES ARE cOOL gIFT iDEAS FOR 13 yEAR oLD bOYS! My thirteen year old has a TV in his room and one of the things he really wanted was a way to watch Netflix so we bought him a movie streaming device. 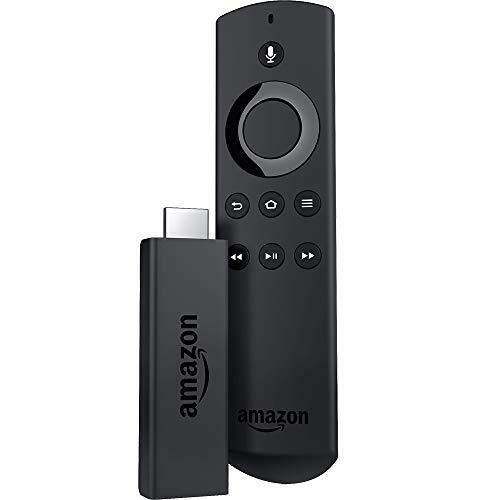 The Amazon Fire stick and the Roku both stream Netflix and Amazon Prime movies and TV shows right to their TV screen. Just plug it in and login into your accounts to watch movies and TV shows. It's cheaper than a separate cable box. 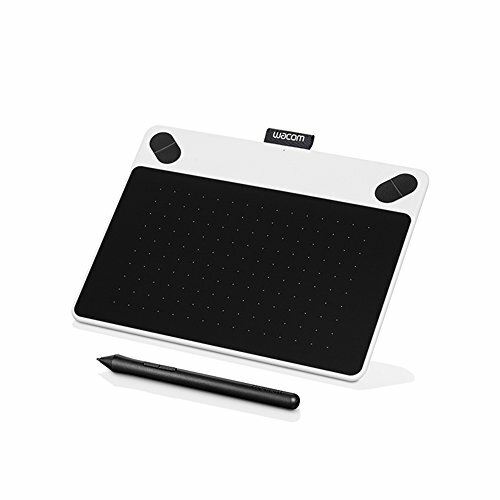 Graphics Drawing Tablets are AWESOME GIFT IDEAS FOR 13 YR OLD BOYS! A graphics drawing tablet makes an awesome gift for a 13 year old boy because they can create their own comics and other digital art. ​My son likes to create really cool clip art and share it with this friends online. There are so many possibilities with the drawing software that's included. 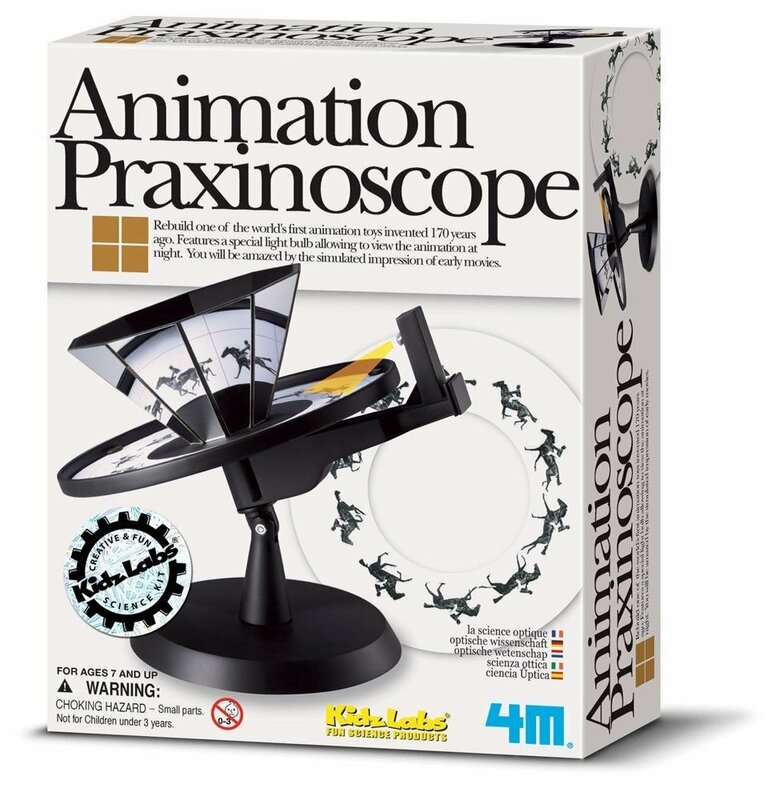 This is a great gift for a budding graphics artist. 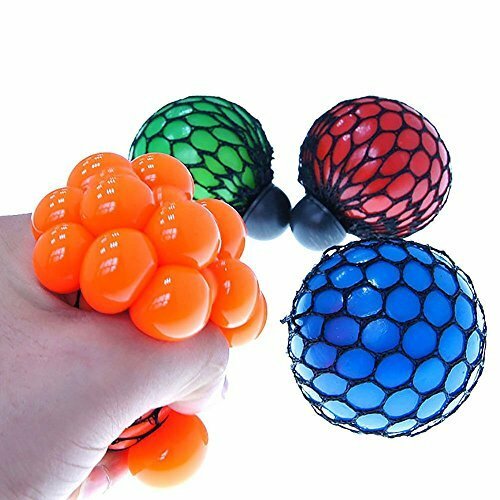 Defend Your Room from Siblings! 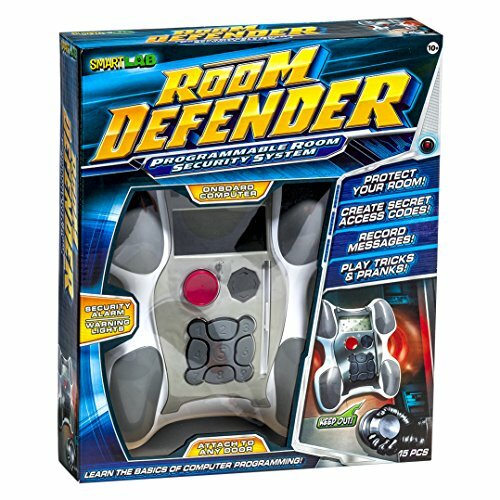 Every 13 yr old boy needs the ROOM DEFENDER to ward off intruders and only allow the elite VIP into their headquarters (bedroom). 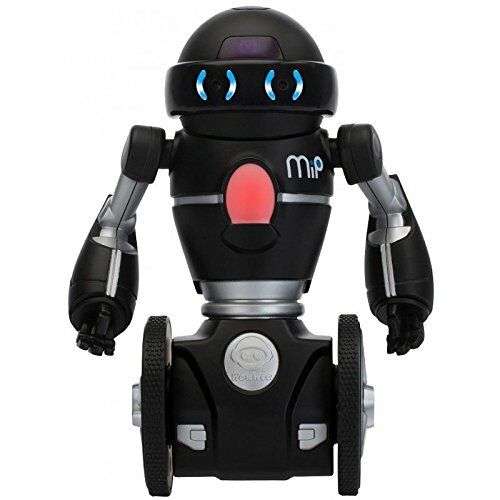 ​I love this toy and I want one for the master bedroom as well as for a gift for my 13 yr old son. 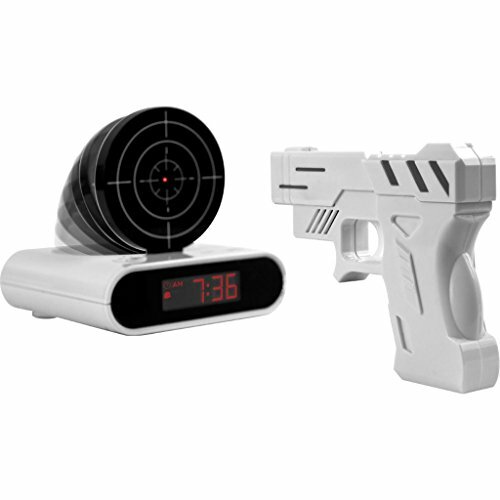 It's got programmable bedroom security systems with lights, alarms, sirens and more sound effects. There's a door alarm that needs a secret access code for entry. 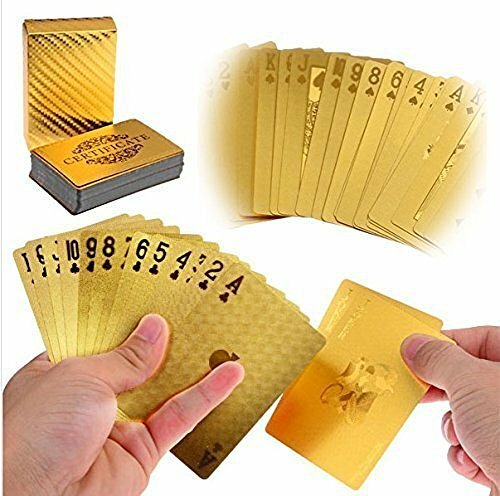 You can also use secret knocks OR swipe your card - seriously, how cool is that? The mount is universal so it will attach to any bedroom door - which is why I need one too. My son is gets home from school and all he wants to do is eat! 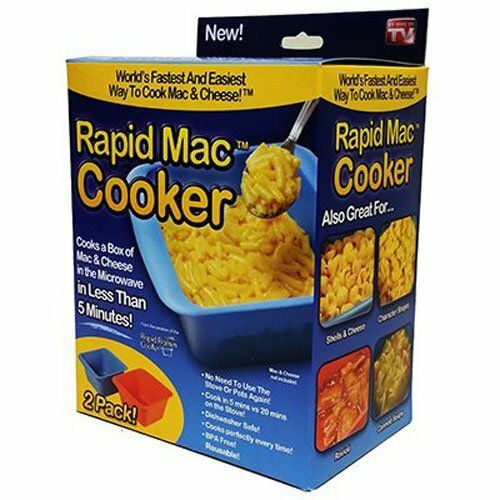 I don't really want him using the stove and I don't really want to make him a meal either at 3pm - so these work. I mean would I feed them to him 3 meals a day? 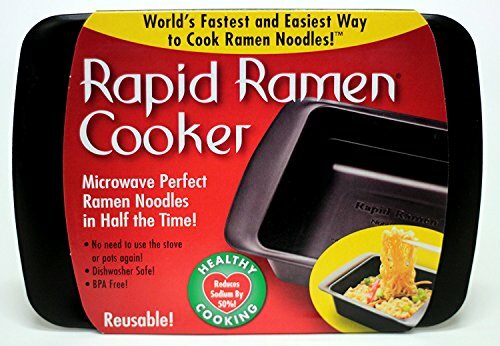 No, but a quick snack in the microwave is going to help more than hinder sometimes if you know what I mean? 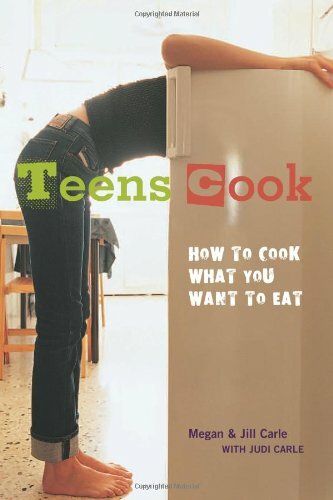 CookBooks for Teen Boys! - Let THem Cook for Themselves! One thing my 13 year old son enjoys to do is cook. He's had an interest in cooking (and eating) for the longest time and he's now old enough to do things on his own. 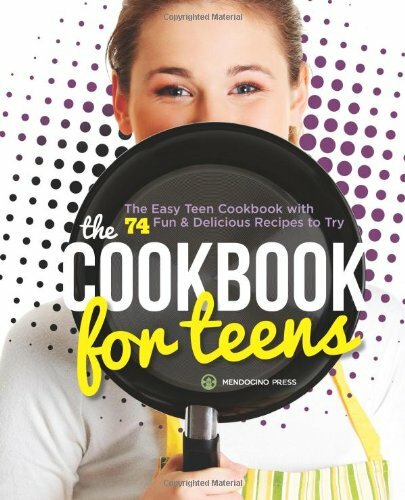 Cook books make a great gift for teens and here are some of the best-selling cookbooks for teens filled with recipes they will eat. 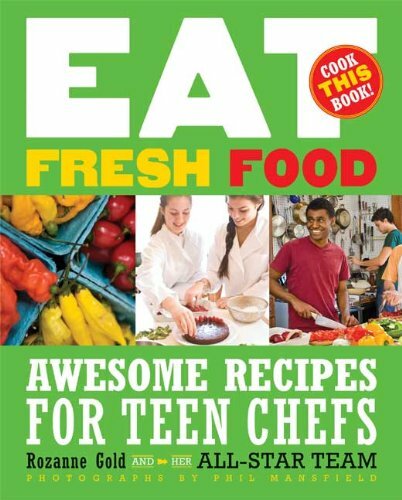 Now is the time to nurture in cooking talents you have in your 13 year old son because its only a matter of time before they are off on their own or choosing a career - why not a chef? or at least a great cook! 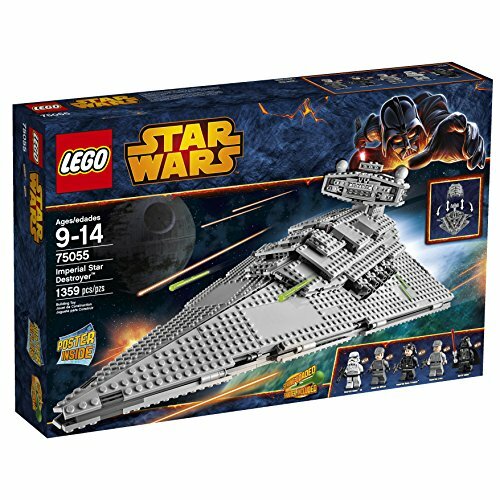 Here are our top 3 picks for the best Lego sets for 13 year old boys. 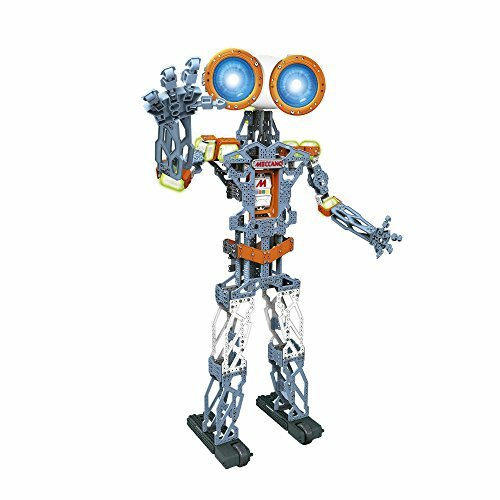 13-year-old boys love building robots; it's one of those S.T.E.M (science, technology, engineering and mathematics) gifts I was talking about earlier. 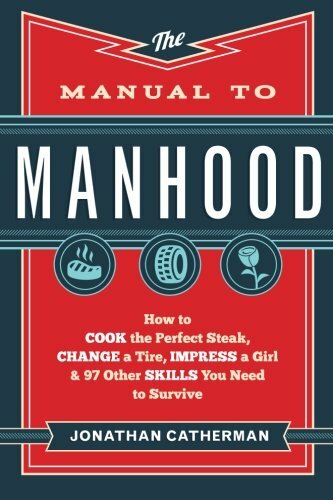 These are the sort of gifts that 13 yr old boys love and moms and dads can appreciate the educational value. 13 Yr Old Boys Like Riding Bikes! 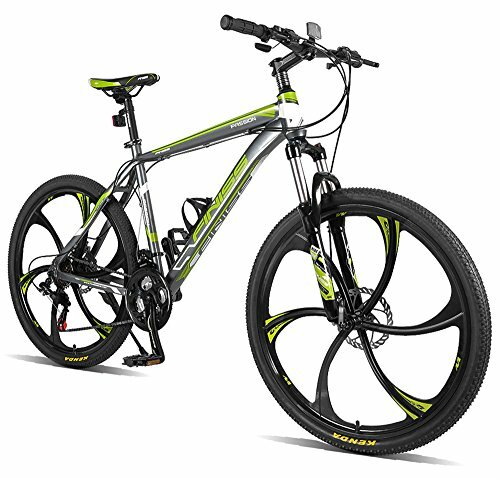 A new bike is a good gift for 13 year old boy because they enjoy riding outside. 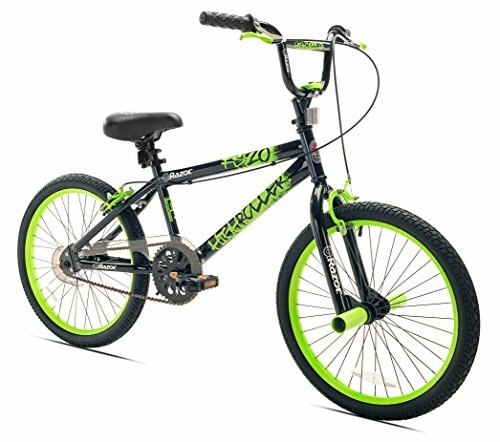 There are really two types of bikes to get, depends on your location - a bmx/freestyle or a really good mountain bike like the one featured here. 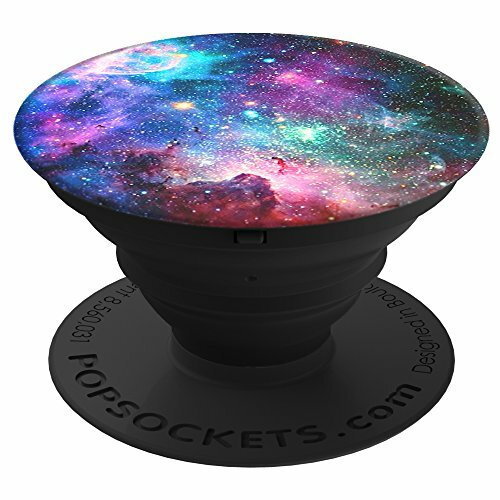 You can find a lot of cool gifts for under 10 bucks! These gifts are awesome sauce for under ten dollars. If you need a quick birthday present but your low on cash (it happens) these gift ideas will not disappoint!